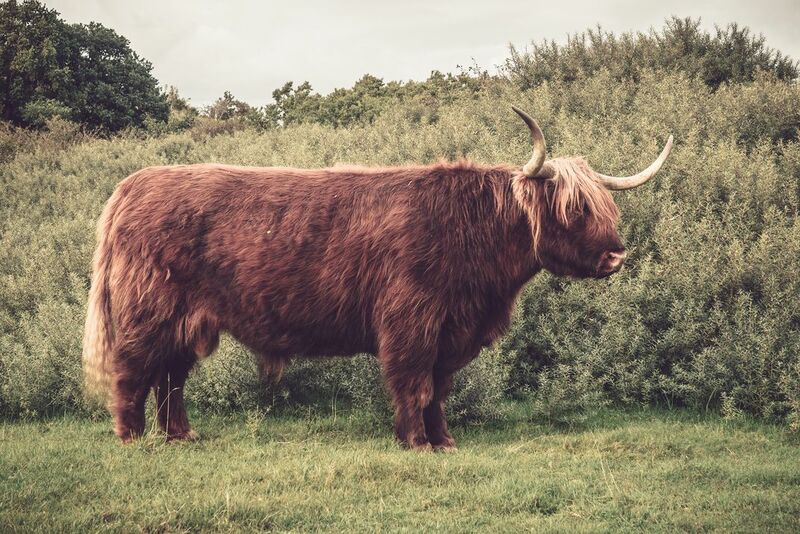 There are herds of scottish highlanders roaming around in the dunes of North Holland. This bull is formidable but old and cannot face young bulls in fights anymore. He follows the herd keeping his distance.